Did you know that on average Bristlr causes at least one wedding (that we know of) per month? Totally legitimate statistics for you right there! This month we’re both proud and delighted to announce the engagement of Jenna & Chad! Congratulations! In a twist on our success stories, Jenna’s best friend Katy approached us with the story. So, surprise Jenna! You’re on Bristlr again! I made her Bristlr profile for her as a joke – I made her profile exactly what I thought people with beards would love “oh I love tacos, I love whiskey, I love biking…” and it really attracted these bearded guys! It’s great when jokes turn in to amazing things, right (remember how Bristlr itself started out as a joke? Oh, the fun we’ve had)? Although Jenna was skeptical at first, it didn’t take long for Chad to make himself know. A first date was arranged and after, as we’re told, a lot of making out later (well, who can resist a good beard like that?) Jenna and Chad became a happy couple! 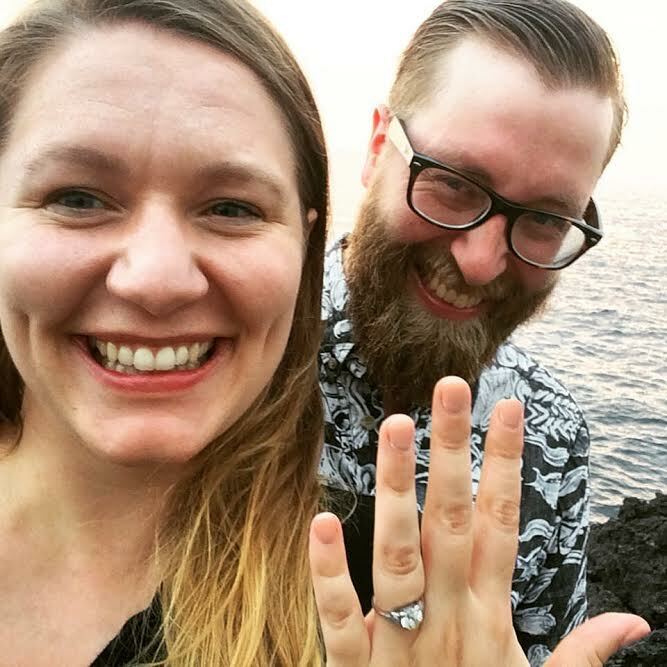 Five months down the line in Hawaii, Jenna and Chad became engaged! Though Chad knew he wanted to propose after just two weeks together. The happy couple now share a beautiful home in Chicago and will be married after about a year of being together. We couldn’t be happier for Jenna and Chad, we wish you all the best in the future. We’re delighted to have heard and shared your heart warming story.